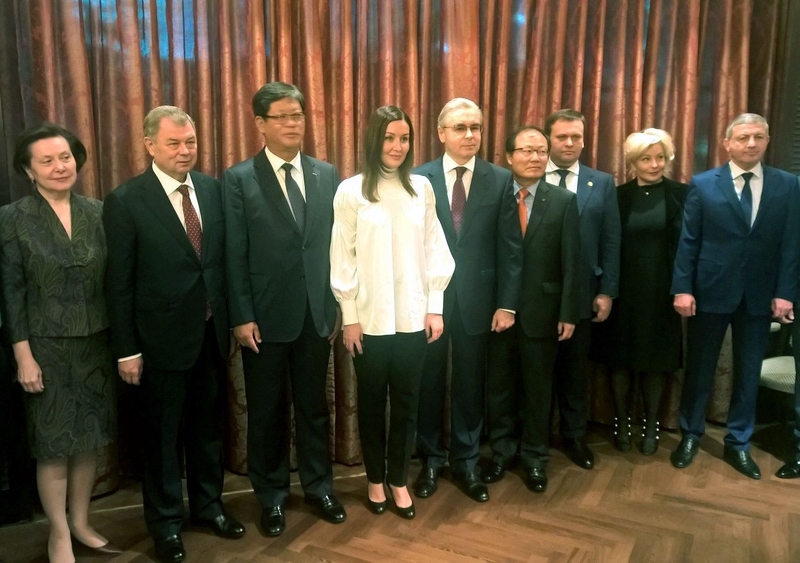 On October 25, 2017 Governor Anatoly Artamonov took part in events organized in Seoul within the framework of the Russian delegation’s visit to the Republic of Korea. A meeting was held with Jaehong Kim, CEO of Korea Trade Investment Promotion Agency (KOTRA). Jaehong Kim said in his welcoming speech: “We are interested in developing mutual relations with the Russian business community. This is an area of strategic importance for us”. Svetlana Chupsheva, Director General of the Agency for Strategic Initiatives to Promote New Projects expressed confidence that many Korean companies would be interested in doing business in Russia. She said: “We invited representatives of KOTRA and Korean businesses to visit Moscow so that they could learn about new opportunities. President Vladimir Putin set an objective to make Russia a member of TOP20 Doing Business list. We make business in Russia easier. Governors personally control issues related to investment attractiveness of their regions”. Presentation of Russian regions’ investment potential was a key event of the visit. It was named Business in Russia: Regional Opportunities for Korean Business. In her speech delivered prior to addresses of eight Russian governors Svetlana Chupsheva said that the Agency prepared annual investment attractiveness ratings, which promoted regional measures improving business environment for investors. When speaking of Kaluga Region investment potential Anatoly Artamonov said that the region accounted for one fifth of all Korean investments in Russia. He said: “It proves the fact that Korean companies have their trust in us. We are interested in further promotion of mutual relations and we will do our best to make your business in Kaluga Region a success”. The visit was organized by the Agency for Strategic Initiatives to Promote New Projects, Roskongress foundation, in cooperation with Korea Trade Investment Promotion Agency, the Chamber of Commerce of the Republic of Korea, Korean Association of Foreign Trade.